Ethereum might be one of the big 3 cryptocurrencies but its days could well be numbered. A lesser known Chinese based cryptocurrency NEO is plotting to take its place. For a long time Ethereum has been considered to be the future of cryptocurrency. Rather than simply seeking to replace Fiat currency, no small feat on its own, Ethereum was designed to act as a revolutionary platform to change the way we do business. As promising as their concept was cracks are beginning to show. In order to understand whether NEO or Ethereum are the better investment in 2018 you need to look at what gives each cryptocurrency its value, the underlying technology. Ethereum has already essentially achieved many of its goals. A huge majority of ICOs use Ethereum’s ERC20 platform and it has achieved the backing of an array of mainstream industry giants. Ethereum has also consistently remained the second largest cryptocurrency by market cap and has seen explosive growth over the last year. The problem for Ethereum is that its popularity has revealed some glaring flaws. 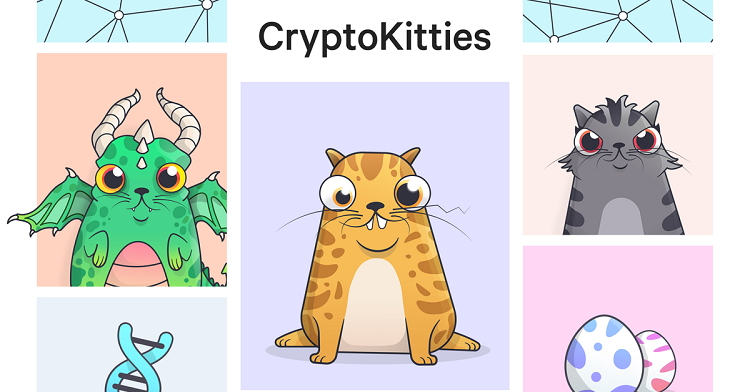 When the game CryptoKitties went live it caused a huge bottleneck on the Ethereum network. The popular game accounted for 12% of all Ether transactions and unprocessed transactions raised six-fold on release of the game. These bottlenecks are just one of the many problems that NEO’s team are attempting to fix with their own platform. The question is whether NEO’s proposed changes actually offer anything new and whether the cryptocurrency will be attractive enough to encourage take up outside of China. As NEO is attempting to build on its predecessor’s tools it’s helpful to take a look at how Ethereum works and what NEO is doing to improve it. One immediate difference is in the consensus method used by each currency. Ethereum relies on a similar consensus method to many other cryptocurrencies, including Bitcoin, called proof-of-work. Whenever a new transaction is created it is added to a “block”. This block is then converted into a mathematical puzzle and hundreds of computers, or miners, attempt to solve the puzzle. When a miner is successful his solution is verified and he is then rewarded with some Ethereum and the transactions are processed. This is to help prevent double spending and ensure that malicious transactions can’t get onto the network. The problem with this method is that it is very labour intensive. In 2017 Bitcoin mining alone consumed more electricity than Ireland and if too many transactions are entered into the network bottlenecks begin to form. 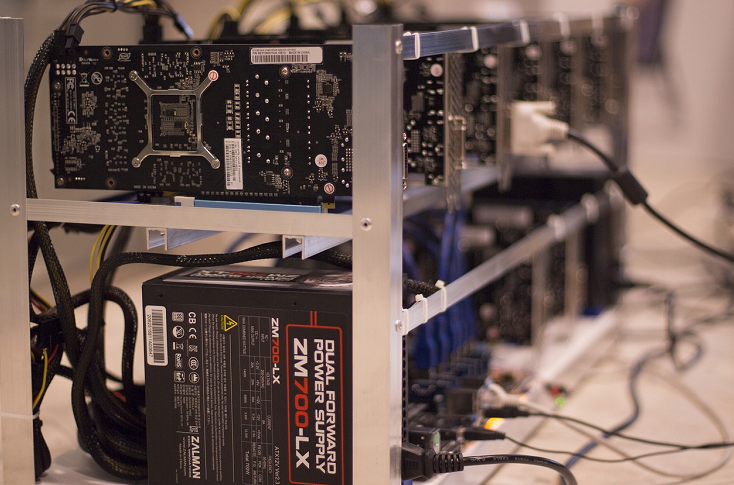 The only way around this is to pay a fee to miners to encourage them to process your transaction and this makes smaller transactions financially unviable. Ethereum’s creator, Vitalik Buterin, has hinted that Ethereum is seeking to move to a proof-of-stake consensus method at some point in 2018. NEO decided to avoid using proof-of-work consensus and instead opted to use Delegated Byzantine Fault Tolerance (DBFT) consensus system. This is a form of proof-of-stake consensus, where users are encouraged to keep their coins inactive in their wallet, or stake their share. To encourage them to do so they are rewarded with GAS. It is somewhat similar to how interest in a bank account works. The DBFT consensus method is fairly complicated and you can find a detailed breakdown on how it works in the NEO documentation. In simple English, when a NEO wallet holder stakes their NEO they will be able to vote on whether a transaction is valid. A “speaker” issues an order and the delegates (NEO holders) need to achieve a 66% consensus upon whether the block is valid. If consensus can’t be reached because the node is dishonest (faulty or malicious) a new speaker is selected who has a different view of the network and attempts to form consensus. This continues until either “faulty” nodes outnumber “correct” nodes and consensus shifts, or until 66% consensus is found. This approach has a couple of major advantages over Proof-of-work consensus. The first is that it consumes far less power, which in turn makes using the NEO network cheaper and more environmentally friendly. The second is that it helps to prevent bottlenecks and means that large mining groups don’t have power over the network. Since all you need to do to participate in the network is keep your NEO in a wallet, almost every long term NEO holder is contributing to the security of the network. It also means that any change to the NEO blockchain is final. In other words no hard-forks can occur, if the NEO code change the entire network will adopt it, rather than there being two chains continuing simultaneously. This makes NEO far more attractive for businesses as it provides stability and ensures information and projects can’t become irrelevant thanks to a fork. Is NEO’s smart platform is more ambitious than Ethereum’s? When Ethereum first came into being their idea was disruptive. They have received interest from major companies around the globe and the ERC20 platform has proven to be very popular. The Ethereum platform is all about giving developers and users more control through their powerful Dapps platform. As ambitious as this idea is its nothing compared to NEO’s plans to build the smart economy of the future. NEO is explicitly designing their product to be the foundation of this new smart economy and it has required the cryptocurrency to develop a huge number of features that Ethereum is simply incapable of matching. The best way to understand the significance of this is to break down the three core components of NEO’s smart economy. Ethereum already uses smart contracts and they’re a very powerful tool. They allow users to define a contract that will trigger once certain criteria have been met. In the case of Ethereum these smart contracts have to be programmed in solidity the native programming language for Ethereum. NEO also uses its virtual machines to optimize smart contracts before they go live. This means that the smart contracts automatically make themselves more efficient and faster to execute. Ethereum has indicated that they want to include this feature but haven’t yet set a timeline, which gives NEO a distinct edge. While most cryptocurrency users are focused on remaining anonymous NEO is trying to make sure that everybody knows who they are dealing with. This is essential if the NEO ecosystem is to comply with existing Know Your Customer (KYC) and Anti Money Laundering (AML) legislation. NEO’s digital identity will be in line with internationally agreed norms and is built in partnership with THEKEY, a cryptocurrency being developed on the NEO platform. Ethereum does require Dapps to build digital identities that are then stored on the blockchain but the process is not as central as it is for Ethereum. One of the big strengths of NEO’s platform is the ability to digitize real-world assets. A user will be able to take their car, house, baseball cards, whatever it is they want to sell and represent it digitally on the blockchain. Each asset will then be secured on the blockchain using an online certificate so it can be verified. Ethereum is absolutely capable of digitizing assets but with one key caveat. They will not necessarily be regulatory compliant. This gives NEO a big advantage when attempting to encourage financial firms to make use of their platform. Neo or Ethereum, which should you invest in? While NEO has the edge in technology Ethereum has an established user base and a huge first-mover advantage. It’s also not a given that NEO and Ethereum will ever end up in direct competition as their end-games are slightly different. Ethereum is now mostly focused upon Dapps and NEO is very much gearing towards a future regulated smart economy. That being said there are some signs that the ground is shifting in NEO’s favour. The “content economy ICO” Narrative was originally created for the Ethereum blockchain but frustration with recent bottlenecks and the growing pains experienced by Ethereum their founder, Ted O’Neill, decided to make the shift to NEO. In a blog post he said that decided to make the switch because he was impressed with NEO’s future features and the plans for a smart economy. If more projects begin to make the switch from ERC20 then Ethereum will begin to see its first mover advantage slip away, however this kind of shift will likely take place beyond 2018. The main argument for investing in NEO is that the token is still undervalued and has a lot of room to grow. NEO largely avoided the downturn experienced in January and has been steadily growing, this is in part due to the fact it wasn’t heavily traded to begin with. If NEO see’s wider uptake in the business world then it is likely that the price will see a huge increase as investors scramble to get involved. In the end what works for NEO doesn’t necessarily have to hurt Ethereum. While they use similar tools NEO is arguably targeting a different market that will see it attract different kinds of businesses. The key area of competition are Dapps; if Ethereum begins to lose more projects to NEO then there is a risk that it could negatively affect the price of Ether. All things considered NEO and Ethereum are very different kinds of investments. If you value stability and are happy to see smaller returns then you should put your money into Ethereum. If you are willing to take a bigger risk in turn for a larger reward then NEO is the better investment in 2018. This does not constitute investment advice and your capital is at risk. The authors views do not necessarily represent the views of allcrypto.com and you should always do your own due diligence before making any investment decision. Only ever invest capital that you can afford to lose.